I live in Texas so I won’t be able to grow fava beans until it gets cold. But if I bought the dried beans and cooked them, can I still get some benefits as far as symptom relief? Dried beans soaked and cooked up do not give much L-dopa. 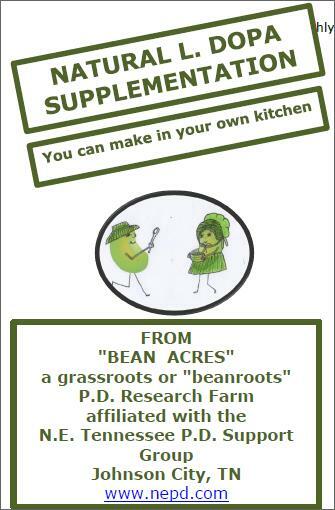 But, if you buy organic, sproutable fava beans and soak them in filtered water for 24 hr…then sprout them 3 days according to the instructions on the downloadable booklet on Robert’s site….they have about 2mg L-dopa per sprout. They can be steamed lightly until chewable..then frozen and used as needed. In experimenting….it took about 16 sprouts at the beginning of my day to jump start me with L-dopa and they took about 45 minutes to “Kick IN” so my finger tapping was up to speed. I needed 3 or 4 more sprouts about 3:00 in the afternoon and at bedtime to function efficiently just on sprouts. Make sure you read all the precautions in the book about using favas before you start trying them. Below are answers prepared by Aunt Bean to questions submitted by Binod from Napel about her fava beans tincture. Thank you for the post about the importance of Fava beans against PD. 1> Does Fava Bean cure Parkinsons Disease or just work to control? ANSWER: Favas do not cure…my symptoms are still progressing but taking a larger amount of tincture has still kept things under control. 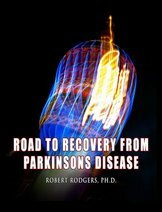 2>Does it work for everyone with Parkinson’s Disease? ANSWER: Favas do not work for everyone , just like dr. meds do not work for everyone. Also there is a condition called favism that make favas dangerous for those people. Thinking of using favas…please get a G6pd blood test to make sure you do not have favism. People on MAOI should talk to their doctor about using fava..used together can cause blood pressure spike. Fava beans are rich in tyramine, and thus should be avoided by those taking monoamine oxidase (MAO) inhibitors. ANSWER: Sprout favas/ peel/ rinse well then steam and there are endless possibilities on how to use them… ground and made into humus/ cookies/ veggie patties/ just throw steamed sprouts in at the end of stir fried veggies..yummy! 4> I could not get how to prepare tincture. Would you please tell me on this? 5> I come to understand Bakula as fava bean in Nepal. Am I correct? 6>The fava beans available and grown in Nepal is good for this purpose or not? 7>What is the dose? How much and how many times a day to be taken? How much time does it take for the positive result to come to patient? ANSWER: Everyone with PD is so different and it has happened from different causes. 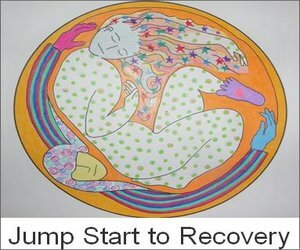 Everyone’s needs are different and each person will have to start slow and listen to his or her body on how much they need and how often. Some people start feeling relief after only a day or so on beans. I had relief after less than an hour on tincture. If you have fresh organically grown beans available…wash and use the pods…they have l-dopa also…good for juicing to get rid of the fiber which is indigestible…juice then can be frozen/ dried into chips, leathers etc. Use your imagination and the possibilities are endless. PWP ‘ers out there trying to find their own way on your journey as I am. Question #1: Can the fava beans be grown indoors — hydroponically or in pots? got long and lanky .Ate leaves from them in salads finally. varieties. Does one seed/bean variety have more levodopa than another? more l-dopa , but one could …if studies have actually been done…. I like to know the findings. plants growth do I harvest the top or whole plant? leaves ground up make wonderful additions to soup, vegie patties etc..
*I don’t care for the sprout tincture as much as the top tincture. I just spent 2 1/2 Hours in Saturday morning picking tops in low garden. Ony got 3/4 dehydrator full first time and ran them til partially dry….emptied them into brandy. Then, put in the ones I finished picking for 3 hrs Saturday evening…which was a full dehydrator…(which I have let run all nite on lowest setting.) Won’t pick again now for a wee or so…then there will be more stems with tops…some at ground level…they seem to form the top really quick. Was blessed yesterday with a Bee Hive. We have had only one or two honey bees here on the farm …even our sunflowers did not have polinators last year. Wasps have been the biggest source of polination.A neighbor found a hive in a building nearby last year and destroyed them…have hardly seen any bees since…….perhaps we will have better crop polination this year. God is good to provide our needs. Greetings from Bean Acres in East Tennessee . It has been pretty cold here already. Down to 18 degrees a couple of times, but the patch of fava beans in the lower garden is still alive. The upper garden ones have died. Amazing the different climate zones on one farm. This week I planted 115 more favas in the greenhouse and have 4 raised beds planted there now. Hoping for a good crop of tops and flowers all winter long. Also have beets and kale coming up and we are still eating from swiss chard. Still have not found someone to come plow up garden so it will be ready for planting favas in March. Hard to find help everywhere I guess. I have needed to take less tincture lately upon adding a product called Natural Calm to my supplements. My bowels are working better and l-dopa tincture is lasting longer. The supplement is magnesium citrate. If any of you out there can explain that…I would love to know why this is. It is a welcome thing and I only take 2 teas a day at breakfast. and Robert will forward it to me. It is August already and the fava beans harvest is over and some new fall planting of seeds are in the ground with one more planting to go August 10th so that I can harvest more tops before winter sets in. This planting will be only for collecting tops as it will not have time to make beans unless 26 degree weather does not come until after December..
Well, it is July and most of the spring crop of fava beans has been harvested. Had a very good crop of beans this spring and also fava tops for tincture…although the first picking of tops was half lost to spittlebugs this year, but the plants made up for it in successive pickings. Hardly any aphids. I read that if you leave your pests alone..that their natural predators will move in to eat them…we do have more lady bugs this year. I have not had to spray parley water on the plants to discourage the aphids..
Have a couple new experiments going on and hoping the local college is taking an interest in my research and will help out by testing the l-dopa content in the new tinctures. Pray they will come thru on this……they have the proper equipment to do it, and it would be such a blessing to have people who could document it. We have a hen and nine baby chicks that we are enjoying watching….people could learn a lot watching chickens….the hen is such a good teacher with good students. Just picked a half gallon of wineberries (cousin to raspberries) and my first green beans….oh so good. We ran out of green beans a few months ago…gave too many away this year. Need to put mine all up first this year, I guess so we don’t run out again. I don’t have much appreciation for canned store beans….I like mine picked/steamed and frozen right away…that way they taste fresh picked when you go to eat them.We have been eating cabbage/greens/ yellow squash / broccoli, and cucumbers out of the greenhouse for a while.. There is a recipe for Bone Strengthening Broth on pg 341 of the book GREEN PHARMACY by James A. Duke, Ph.D. This is the book I came across when looking for natural food therapy for Parkinsons back in 2009. That book started us on the trail of fava beans! How I wish I could thank him for all his research, that in turn prompted all of mine…and my good health now. availability to go hunting for. Chop fine & simmer til greens are tender. Remove fish bones and season as desired. Serve as soup or base for soup beans. Thank you Dr Duke. I have a quick question on the instructions you posted for making sprout balls. I’ve taken the 2 cups of fava beans and covered with filtered water for 24 hours. Now it says to “rinse & drain for 3 days”. Should water be added back with each rinse & drain cycle or should the beans set with no water while waiting for the next days rinse & drain? I am so glad that a few people are trying to take charge of their lives and making an effort to reduce side effects from medications. When sprouting any seeds…. soak, then rinse beans until the water is clear (sometimes takes several rinses). Then, drain beans completely. If you can’t get all the water off in the bowl you are using, gently pour beans into a colander after rinsing to drain so they are not standing in a puddle of old water for hours. Then rinse again mid day & drain. Repeat again at night before going to bed. In three days or before you will start to see sprouting. It is so exciting for me …. even though I’ve done it over and over hundreds of times. After 3 full days of rinsing & draining they are ready to PEEL/ RINSE/ STEAM & eat or freeze or make the wonderful little Sprout Balls. Feel free to taste as you mix the ingredients and add whatever you enjoy. My girlfriend adds a lot more molasses. You might like date sugar or whatever…play with the taste. We eat them frozen. Just pop in your mouth and let melt..yummy !